Region: Southern Coast of Maine, one hour north of Boston. 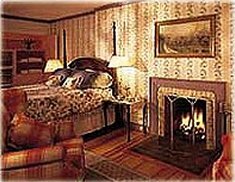 Our luxurious Historic Oceanfront Inn has been featured on the Travel Channels "Great Country Inns". Award winning gourmet ocean view dining plus casual fireplaced English Wine Cellar Pub. Outdoor hot tub open year round. Many rooms with fireplaces, Jacuzzi spa tubs, decks and ocean vistas. Complete conference facilities, which enables you to get down-to-business in a relaxed atmosphere. The perfect Maine Coast getaway is just an hour north of Boston. Open year round w/special fall and winter packages. This and other York Harbor Bed and Breakfast Inns can be found here in The Register.